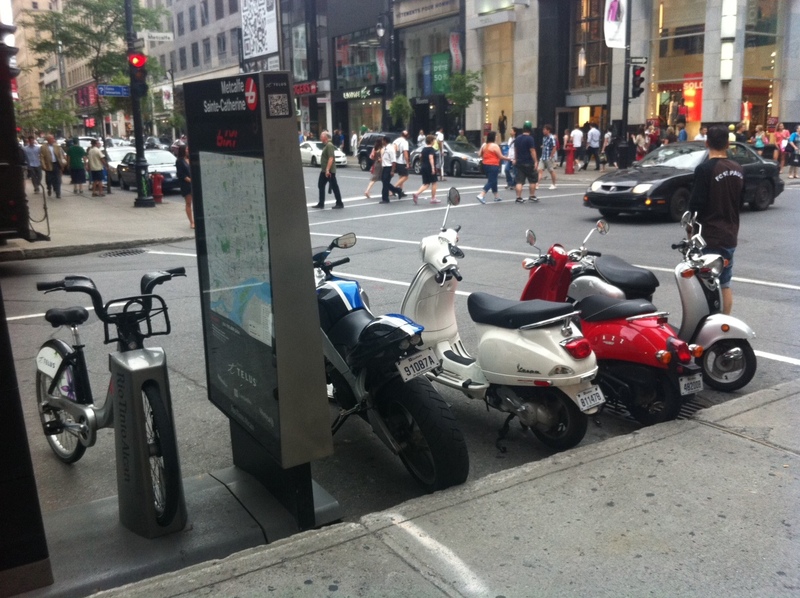 Last year I put up a post on scooter parking and BIXI stands. You can get to that post by clicking here. 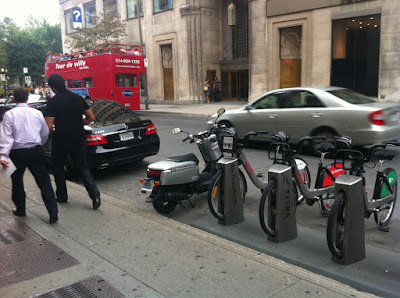 Now, a little over a year later, my theory that each BIXI stand offers parking for at least two scooters seems to have taken root as a generalized practice here. Am I only an observer, or, by publishing my observation, did I interfere with what might have been, and contribute in one way or another to expanding an isolated event into an actual trend? Evidence in favour of the latter is the fact that my original post that mentioned the theory that BIXI stands offered natural scooter parking is the fourth most viewed post on my blog. 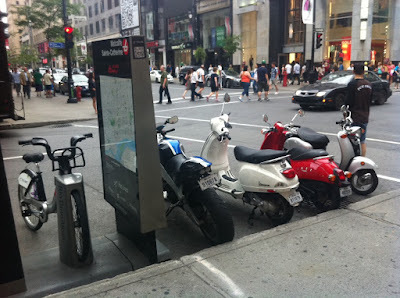 I'm definitely not in flash-mob territory, but it's a tantalizing thought, if only for me.